Convince your guests they were born to run with these Run for a Cause Posters. 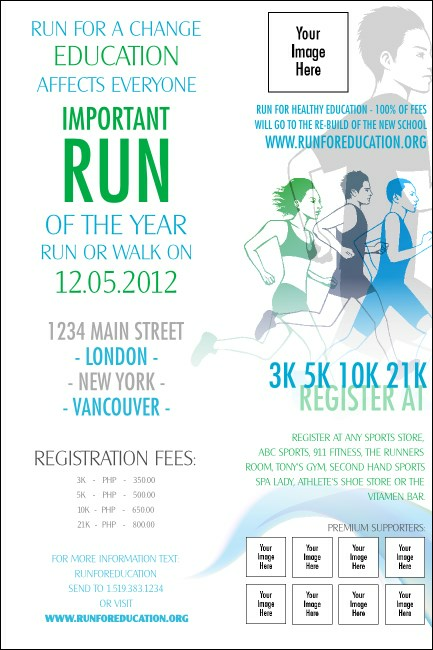 Go the long slow distance and promote your race in advance with colorful blue and green Posters. Each one features serious runners wearing determined looks on their faces, along with space to upload nine images of your choice. TicketPrinting.com offers hundreds of Posters with unique themes.